Thursday, February 21, 2019 at 7:30 PM – 9:30 PM The Lyric 230 W. Yellowstone, Casper, Wyoming 82601 Singer/Songwriter/Storyteller Rob Staffig has been entertaining professionally throughout Wyoming for the past 28 years with his original songs sporting a folk/country flavor. At age 16, Rob found an old Sears Silvertone guitar that his father had tucked away in the attic of their farmhouse and soon learned to play it. Always one to link words together with rhyme, Rob began to write his own songs compiling over 100 original compositions. In 1996, Rob opened for Country Music Star David Lee Murphy at the Everglades Seafood Festival in Everglades City, FL. 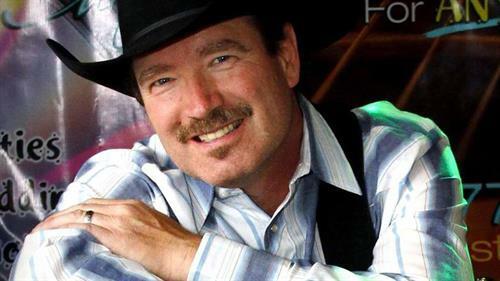 Invited back in 1997, Rob opened for David Ball and The Bellamy Brothers. Receiving backing for a recording package in 2001, Rob Staffig released his first CD, Drive-In Nights and the single “You Need A Vacation” received honorable mention in Nashville’s Music Row magazine. Rob has had a colorful career in the music business and always enjoys entertaining, be it an audience of one or a concert of five thousand plus. He shares his songs, cowboy poetry and stories of the road. ***CASH BAR*** Co-Sponsored by the Casper Journal.